Kareo has the software features and services you need for a smooth transition. Take this simple assessment to see how ready you are and get your ICD-10 success checklist. Managing population health needs two things, good data and good analytics. Learn best practices in an era of value-based payments and population health management. Under value-based payment models, payers increasingly reward high-quality services that improve outcomes. Find more ways to get paid using this value-based model. There's a renewed focus among independent medical practices to reduce insurance claims rejections and denials. Review some of the most common preventable rejections and denials. RCM is important because it not only protects the cash flow of the practice, but it also informs business transactions and supports provider and staff earnings. Try these five tips to help your practice drive effective RCM. In today’s demanding environment, a small practice needs an information technology partner that can keep up with market trends. Learn more about relieving regulatory burdens here. Accepting denials and underpayments as the status quo is one of the most common reasons why practices struggle to remain profitable. Use these three tips to help your practice analyze their reimbursements. Improving your claims process improves the profitability of your business. Get valuable tips here to improve your claims process. All new Medicare beneficiaries began receiving a Medicare Beneficiary Identifier (MBI) instead of the old Health Insurance Claim Number (HICN). Make sure your office is ready for the new Medicare changes. Independent practices must find a way to streamline the CMS incentive program reporting process. Learn more about appointing a MIPS expert today. Marina is a Sr. Training Specialist guiding Kareo customers to higher levels of success with their CMS Incentive Program reporting, including MIPS and Meaningful Use. Since 1999, deaths from prescription opioids such as oxycodone, hydrocodone, and methadone have more than quadrupled. Learn more here about support, training and solutions for improved documentation. Nine out of 10 small, independent practices are unprepared financially and technologically for the challenges of implementing value-driven care. Learn more about your outsourced billing options and software solutions for MIPS success. A recent report says that 90% of independent practices plan to outsource their billing, which makes perfect sense. Outsourcing your billing just might be the golden ticket to protecting the bottom line of your practice. See the best Go Practice blog posts of 2016! Host John Lynn (@TechGuy) led a discussion on the end of the ICD-10 grace period, and you can see the recap here! Discover how your specialty and practice are impacted by ICD-10 changes that took place on 10/1. ICD-10 will affect your mental health practice's software, superbills, workflow, documentation, and more. Use this checklist to help your mental health practice ensure a successful transition. One of the biggest challenges practices face with the transition to ICD-10 is an increase in denials. Learn some tips to manage these denials in this short video. The September edition of the Kareo Getting Paid Newsletter has the latest updates on the easiest way to grow your practice, alternate payment models, tips to reduce productivity loss with ICD-10 and outsourcing billing. The October edition of the Kareo Getting Paid Newsletter has the latest updates on handling denials in the post-ICD-10 world, agile practice models, chip and pin cards, and more. So far ICD-10 has gone smoother than expected, but there may still be issues as more claims are processed. Here are tips to continue to manage ICD-10 effectively. #KareoChat Recap: ICD-10 Is Live, Now What? In the latest #KareoChat, renowned ICD-10 expert Brad Justus lead our discussion on the after effects of ICD-10 going live and what's next! Kareo has announced that 99 percent of claims submitted in the first month of the ICD-10 coding transition were successful. We're a month into ICD-10, and practices are seeing some denials for a variety of reasons. This short video offers some simple tips to help manage denials. The principles of preventing and managing denials in ICD-10 are the same as in ICD-9, but with so much change there is increased chance of denials in ICD-10. We asked industry experts to provide their tips for last minute ICD-10 prep. Take a minute to read and see if any of their suggestions can help you. ICD-10 is likely to cause productivity loss, especially in less prepared practices. Here are ways to mitigate this issue and ward off ICD-10-related emergencies. ICD-10 capitalizes on anatomical specificity, laterality, and disease process—all of which must be reflected in an oncologist’s documentation and coding. A practice that uses a paper-based clinical documentation system is at a disadvantage in preparing for ICD-10. An effective EHR is a critical tool for ICD-10. Kareo is pleased to announce that we have partnered with ICD-10 Success to offer ICD-10 Coding Classes and ICD-10 Documentation Classes. As with many specialties, endocrinology will see several diagnosis code expansions and changes in ICD-10. Diabetes is just the beginning. The July edition of the Kareo Getting Paid Newsletter has great tips on patient retention, ICD-10 success, and improving your medical billing. The other day, CMS and AMA announced efforts to offer options to ease the transition to ICD-10. It is important for everyone to learn how ICD-10 may affect their role—then plan education and training accordingly. Providers may not want to hear this, but the single biggest issue to be addressed in transitioning to ICD-10 may be the increased need for documentation. It's time to get into the nitty gritty of ICD-10 coding and documentation. Your first step is to identify your top codes, and then map them to their ICD-10 equivalents. The May edition of the Kareo Getting Paid Newsletter has great tips on patient retention, ICD-10 success, and improving your medical billing. The March edition of the Kareo Getting Paid Newsletter has latest updates on ICD-10 along with news on exciting new developments at Kareo. ICD-10-CM will allow primary care specialists to more accurately depict chronic conditions as well as other common diagnoses. Here are six key areas of note. How can general surgeons ensure a successful transition to ICD-10? The best advice is document the way in which you think clinically. Here are 4 tips. Like many specialties, OB/GYN includes a variety of changes related to diagnosis codes. Here are 6 tips to help OB/GYNs transition to ICD-10. John F. Burns, AHIMA-approved ICD-10 Ambassador and ICD-10-CM/PCS trainer suggests several topics on which orthopedists should focus their attention. Physicians, do you know whether your practice is ready for ICD-10? Here are 6 questions to ask and some key tasks to complete to make sure you will be. ICD-10 is a big change and it affects each medical specialty differently. This eBook provides tools and information to help OB/GYN providers navigate the transition to ICD-10 more effectively. To make a successful ICD-10 transition requires thoughtful financial planning. Get started now with these four steps. When it comes to ICD-10, radiology practices may be particularly vulnerable to denials if they don’t take the time to prepare because they are dependent on information from referring providers. It is time to get started with your ICD-10 transition if you haven't already. This is the first in a series of posts recapping the steps to transition. Get the latest update on the SGR doc fix bill and ICD-10. Certified ICD-10-CM trainer Michelle Cavanaugh answers questions about the ICD-10 7th character and coding for initial, subsequent, and sequela visits. The latest news and surveys show that ICD-10 is likely to move ahead and the industry is getting a good feel for where things stand. Few physicians and practice managers enjoy the task of medical practice budgeting for the coming year, but it is important. Here are 7areas to look at in 2015. The transition to ICD-10 could have a significant impact on your pediatric practice’s bottom line, according to new research. Here are things to watch for. When the ICD-10 deadline arrives, mental health providers will have to make some changes to map DSM V and ICD-9 to ICD-10 correctly. Setting aside reserves or getting a line of credit for ICD-10 may not be enough. Here are three ways to contain costs and manage expenses for ICD-10 and every year. This guide outlines the steps you need to take and provides some tools and resources to help you through the ICD-10 transition. This eBook guides pediatric providers through the steps to a successful ICD-10 transition. This eBook guides mental health providers through the steps to a successful ICD-10 transition. View Kareo’s ICD-10 product features and learn more about our testing success. Learn more about ICD-10 by taking a live training with a Kareo ICD-10 Specialist or choose between 3 of our eLearning courses: Overview, ICD-10 Success Readiness Checklist & PM Features, and/or ICD-10 EHR Features. ICD-10 is the 10th Edition of the International Classification of Diseases (ICD). ICD is the standard diagnostic tool for epidemiology, health management and clinical purposes. This includes the analysis of the general health situation of population groups. It is used to monitor the incidence and prevalence of diseases and other health problems. ICD-10-CM is used in all healthcare settings, and ICD-10-PCS is only use in Inpatient Hospital settings. ICD-10-CM utilizes 3-7 digits compared to 3 to 5 digits with ICD-9-CM. ICD-9 had over 14,000 codes while ICD-10 has over 68,000 different codes. When is the ICD-10 compliance deadline? The deadline is October 1, 2015. Any claims with dates of service on or after the deadline will require the use of ICD-10 codes. What does compliance mean, and who is affected? ICD-10 compliance means that everyone covered by the Health Insurance Portability and Accountability Act (HIPAA), and not just those who submit Medicare or Medicaid claims, must use ICD-10 codes for healthcare services provided on or after October 1, 2015. This means that all software systems currently in use by practices that utilize ICD-9 will be required to update to support the use of ICD-10. ICD-10 training will be required for all healthcare providers, clinical staff, coders, billing and administrators. They will also need to develop new practice policies and guidelines, and update paperwork and forms. Practices should also create cheat sheets that list their most frequently used ICD-9 codes and their ICD-10 equivalents. What if I'm not ready by the compliance deadline? The biggest impact to your practice will be cash flow since any ICD-9 codes used in transactions for services or discharges on or after the deadline will be rejected as non-compliant and the transactions will not be processed. Physicians are urged to plan for reimbursement delays and arrange for emergency funding to cover all practice expenses (overhead, staff salary, supplies, etc.) for a minimum of three months. What will Kareo do about payers or other agencies that are not converting to ICD-10? Kareo understands that there will be a general industry lag in the adoption of ICD-10-CM for some non-HIPAA entities and will continue to support the use of ICD-9-CM within the system during the transition. Is Kareo ready to support practices as they transition to ICD-10? Absolutely! Our teams continue the improvement of Kareo's products to provide our customers with all the tools they will need for the October 1, 2015 conversion date. What specifically is Kareo doing in the product? Kareo is actively working to support practices by providing critical preparation tools. The Most Commonly Used Diagnosis Report provides a list of a practice's most commonly used ICD-9 codes. The crosswalk can suggest potential corresponding ICD-10 codes based on this report. Our practices also have the ability to dual code, representing a diagnosis in both ICD-9 and ICD-10. And the ICD-10 Success Dashboard tracks a practice's progress toward the October 1, 2015 deadline. What should practices be doing today and over the coming months to prepare? Financial Impact - Does the practice have enough financial resources to cover day-to-day operations, if payments are delayed? Certified ICD-10 Coding - Billers and coders should attend a certified coding program to learn the nuances of this new code set. Clinical Documentation - The foundation of a good claim is the documentation upon which it is based; providers are encouraged to attend a seminar that addresses the new standards for documentation for ICD-10. The biggest impact to your practice will be cash flow since any ICD-9 codes used in transactions for services or discharges on or after October 1, 2015 will be rejected as non-compliant and the transactions will not be processed. Physicians are urged to plan for reimbursement delays and arrange for emergency funding to cover all practice expenses (overhead, staff salary, supplies, etc.) for a minimum of three months. Will your software have ICD-9 to ICD-10 crosswalk? Who is responsible for testing - Kareo or the practices? The good thing for our customers is that we do the testing for them! 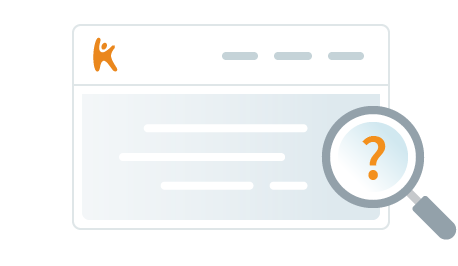 Kareo will continue testing with our clearinghouses to make sure that everything is ready for October 1, 2015. Separately, our clearinghouses have participated in payer testing with a 95% and higher success rate. Absolutely! Our teams are trained and ready to support our customers with all the training and software features they will need to be ready for October 1. To learn more visit our help center at https://helpresources.kareo.com/help/practice-management/courses/live-webinars. Is Kareo’s software ICD-10 ready? Yes! We have features built into Kareo Practice Management and Kareo EHR to simplify and accelerate a smooth transition to ICD-10. In our practice management software we’ve built in several features such as the ICD-10 Success Dashboard to track a practice's progress toward the October 1, 2015 deadline. We’ve built in a Diagnosis Crosswalk and Dual Coding Encounter Validation as well. For users of Kareo EHR, you can dual code problems, superbills, and more. For more information, visit http://www.kareo.com/icd10-features. What should practices be doing to prepare? Practices should be prepared with a financial plan, taking certified ICD-10 coding courses, and updating their workflow and documentation necessary to implement ICD-10. Kareo has conducted comprehensive claims testing with our clearinghouses in preparation for ICD-10. Kareo has sent test files containing ICD-10 coded test claims to all our Clearinghouses. We have received confirmation from our clearinghouses that Kareo’s testing was successful and is ICD-10 ready. We are connected with multiple clearinghouse partners to ensure the fastest connections to payers and are confident that our clearinghouse partners are ICD-10 ready for October 1. How is Kareo testing with their partner EHRs? Kareo is conducting ongoing testing with our partner EHRs to ensure that the integrations are working. 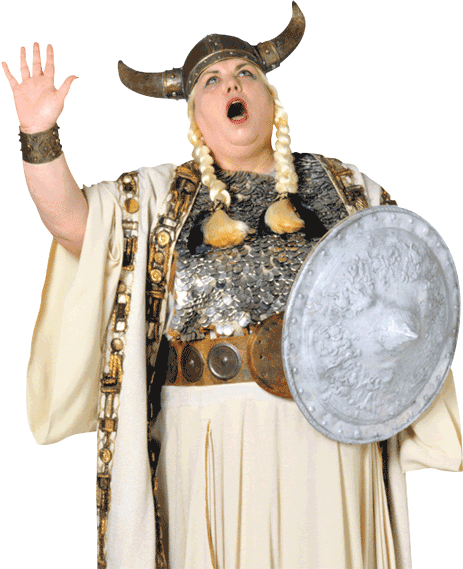 When will you update my current products and applications for ICD-10? Is there an added cost? As a cloud-based offering, as soon as we implement the ICD-10 updates to the system, it is automatically deployed to you once you log in. Updates to the system for regulatory mandates are included in your monthly subscription. Kareo has upgraded both the Practice Management and the EHR software to include the following features. Kareo will continue to enhance these features to provide our customers with the necessary tools to help them success with the ICD-10 transition. Will I need new hardware to accommodate ICD-10-related software changes? Good news, you won’t require any changes to your hardware system to support your Kareo software. Will support for my current products continue after the transition to ICD-10? As a cloud-based solution, your product is regularly updated and your support remains the same. We will provide timely updates to ensure that all our clients continue to meet all regulatory mandates. How do I report issues, and how quickly will you respond? All reported issues are handled in a timely manner and, as with any other issue it will be prioritized accordingly based on the severity and impact of the reported issue. Your current method for working with Kareo should remain the same. What education tools are available for practices? Will you provide training on your software? What about other ICD-10 training? You’ll have access to many forms of training to suit your practice. Live and recorded webinars, articles, and white papers are available. Please note that it is recommended that your practice engage a vendor that offers ICD-10 coding training that is specific to your specialty or role. Kareo’s training sessions will be geared to address the general needs of all of its clients. Good resources include AAPC, AHIMA, and specialty societies. Will you provide coding training for ICD-10? Kareo has partnered with ICD-10 Success to offer ICD-10 Coding Classes and ICD-10 Documentation Classes. Through our partnership, we are able to provide this resource so you can get the training you need to be successful in the transition to ICD-10. ICD-10 Success Training Programs provide a complete ICD-10 training solution for the entire staff. Educational videos combined with interactive games, documentation templates, and crosswalks are designed so that everyone in the practice understands their role in coding effectively for ICD-10. Go to this link: Kareo Access link. Select the courses you wish to purchase. Review your order in Your Cart. Enter the Coupon Code KAREO and recalculate by clicking Apply. Payment is either by PayPal or as a Guest to PayPal you can use Visa, MasterCard or American Express. User will receive an email when the purchase is complete. From the email, they will have immediate access to the course. For a list of courses and more information, read this blog post. Will your product support dual coding? The general industry mandate is for all coding to transition to ICD-10. However, Kareo does realize that there will be need to support both ICD-9 and ICD-10 for a period of time as necessary. Will your product allow for coding in both ICD-9 and ICD-10 to accommodate transactions with dates of service before the deadline, and transactions with dates of service after the deadline? Yes. ANSI 5010, CMS-1500 (02/12) and UB-04 were all designed with the idea that both versions will be needed as part of the overall transition. Kareo provides a report to allow the practice to identify their most commonly used ICD-9 codes. Using this report and the crosswalk tool in Kareo, along with the ICD-10 Manual, you can map your top ICD-9 codes to their ICD-10 equivalents. Kareo provides the ability to dual code without distributing workflow. At key points in the application, specifically encounter approve, superbill creation and problem lists, both the ICD-9 and ICD-10 may be viewed together. Tools will be provided in upcoming releases to allow easy alphabetical searching for the appropriate code. What code do I use after the deadline for services with dates of service prior to the deadline? Even if you submit your claim on or after the deadline, if the date of service is before the deadline, then you will need to submit using ICD-9. For services on or after the deadline, you must utilize ICD-10. How will your software assist providers with the assignment of ICD-10 codes? 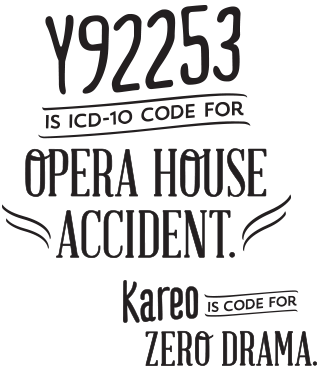 Kareo provides a report to allow the practice to identify their most commonly used ICD-9 codes. Using this report and the crosswalk tool in Kareo, along with the ICD-10 Manual, you can map your top ICD-9 codes to their ICD-10 equivalents. Tools will be provided in upcoming releases to allow easy alphabetical searching for the appropriate code. Please note that Correct Coding Initiative (CCI) Edits will not be impacted by the ICD-10 implementation. How will our code scrubbing tool work with ICD-10? The Coverage and Analysis Group at CMS is responsible for overseeing National Coverage Determination (NCD) and Local Coverage Determination (LCD) policies and they continue to publish updated ICD-10 policies at http://www.cms.gov/Medicare/Coverage/CoverageGenInfo/ICD10.html. They will continue updating and publishing the policies leading up to the October transition date. Our vendor partner responsible for updating our claim scrubbing edits is closely monitoring these changes and applying them where appropriate. Please note that the Correct Coding Initiatives (CCI) Edits are not affected by the ICD-10 transition so there should be no impact to Mutually Exclusive, Comprehensive Component (unbundling) and Modifier Exclusion edits. CPT-4 and HCPCS edits (proper use, crosswalks, modifier and effective date validation) will also be unaffected by the transition. We heard that non-specific codes will no longer be allowed in ICD-10. Is this true? Actually, non-specific codes do still exist in ICD-10. The fact that ICD-10 does offer a higher level of specificity does not resolve situations where the patient's condition cannot be coded to a more specific code. The key is that the provider's documentation continues to justify the use of the non-specific code. Will Kareo offer coding assistance during the transition? Kareo does not offer coding services today nor will we offer this service during the transition. How do Multiple Codes in ICD-10 work? There are three areas that control the number of diagnosis codes that can be submitted on a claim. ANSI 5010 837P: The majority of Kareo clients utilize this claim format and it currently supports up to 12 Diagnosis Codes per claim. ANSI 5010 837I Institutional: As far as our client base, this applies to Ambulatory Surgery Centers (ASC), Comprehensive Outpatient Rehabilitation Facility (CORF) and Outpatient Rehabilitation Facility (ORF). CMS-1500 (02/12): This new claims format allow support of up to 12 Diagnosis Codes, however, what has not changed is that each procedure will still only allow up to 4 diagnosis pointers. This means that this new form can still only support 4 diagnosis codes per procedure. If the claim has multiple procedure line items and have more than 12 unique diagnosis codes, then the claim will be split accordingly. UB-04: In the current state supports capture of a primary diagnosis code and up to 17 additional diagnosis codes. Professional (837P or CMS-1500): Currently only supports the entry of 4 unique diagnosis codes per line item. Institutional (837I or UB-04): Supports as much as the claim format will support. Allows entry of Principal Diagnosis (required for all Institutional claims), Admitting Diagnosis (only required when a patient is admitted), “Other Diagnosis” which allows as many other diagnosis codes as the claim format will support.